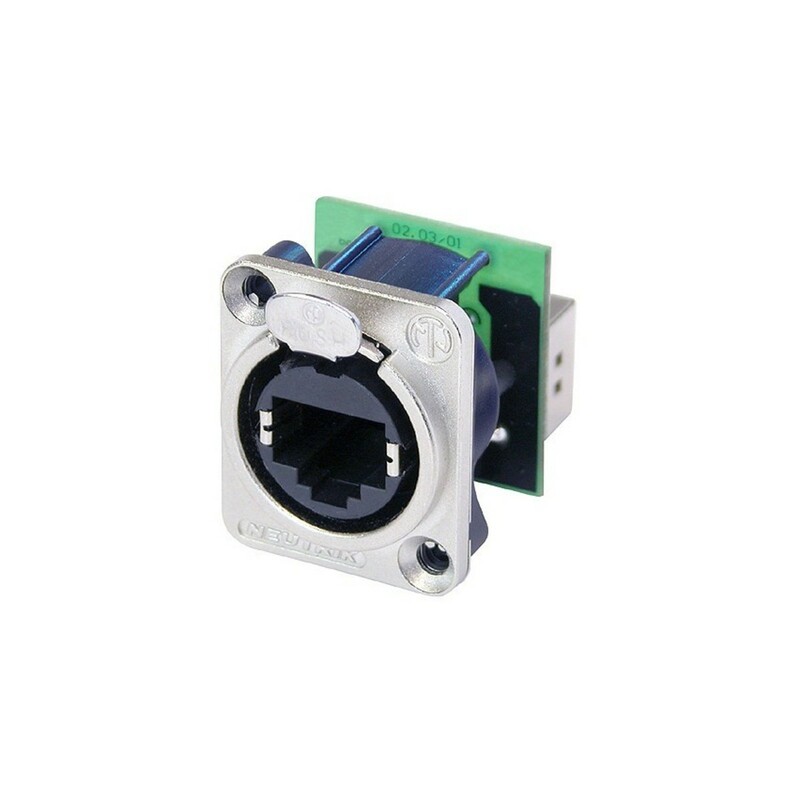 The Neutrik NE8FDP RJ45 Feedthrough Receptacle features a robust metal D-shape flange with an approved latch lock system. The NE8FDP is designed to accommodate Neutrik NE8MC plugs, or any standard RJ45 plug. The receptacle can be mounted from the front or rear of the panel, and is designed to fit into most standardized panels within the entertainment industry. The NE8FDP is optimized for pro-audio, video, and lightning network applications, providing a versatile and exceptionally durable solution.